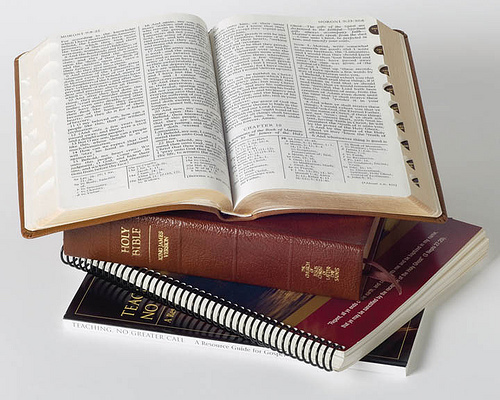 Last week we had a great conversation in church about Lehi’s Vision in the Book of Mormon. For those not familiar with the vision, you can find all the details of the vision in 1 Nephi chapters 8 and 11. In the vision, there is a part where mists of darkness arise around people who are striving to reach a tree with fruit that is most desirable and fills ones soul with joy. The tree, according to scripture, represents the love of God. In the Church, I feel that when we discuss the mists of darkness that arise in Lehi’s dream, we often correlate that with temptations, sins, and distractions from Satan that take us off of our path to God and to wayward paths. There was one day while I was experiencing extreme depression and doubt. I was driving in the rain and crying from the heavy weight that I was feeling. Thoughts were swirling around in my mind and I pulled over and offered a mighty prayer in desperation, asking God to intervene. Within a couple of minutes, my Grandfather called me, out of the blue. Hearing his voice as he said “my boy!” immediately snapped me out of my downward spiral of negative thinking and I smiled as I remembered the fun times I had with him growing up next door. Images of riding horses together, working together, singing together, etc. came into my mind. I shared with him my emotional state and how depressed I felt. He opened up to me and shared with me how intimately he understood my situation and shared some very personal experiences of a time when he was depressed right after my Grandmother had passed away. He then shared his testimony of how God carried him and helped him through and he knew God would do that for me too. This conversation gave me hope for that day and was a testimony to me that not only did my Grandfather care for me, but my Heavenly Father did as well and had sent Grandpa as an angel to rescue me. …angels are at work. Often our members are “angels” to neighbors in need. Home teachers and visiting teachers, as ordinary people, frequently render service that seems angelic to grateful recipients….I am among the many who have often referred to the loving acts of an “angel mother” or an “angel wife,” or the priceless love of “angel children”. Do we believe in angels? Yes! We believe in angels-heavenly messengers-seen and unseen; and earthly angels who know whom to help and how to help. Gospel messengers, or angels, can include ordinary people like you and me (pg 25). I’ll forever be grateful for my Grandfather who was close to the Spirit and listened to a prompting from God and acted as an angel to my prayer when I was in the middle of a “mist of darkness”. From personal experience, I know that darkness, doubt, and depression can be overpowering and make one feel like it is impossible to accomplish the task of even getting through another day. I know that with God’s help, we can all accomplish the impossible to either have strength to hold on while we are experiencing “mists of darkness” and eventually make it through. Thank you very much for that message! It really helped me, because I am going through a very hard time in my life! May God bless you always and keep up with the good job of uplifting souls! Hi Claudio. Thank you for your comment and blessing. I’m very glad this has helped you. Claudio. Thanks for stopping by and letting me know it helped you. God bless!